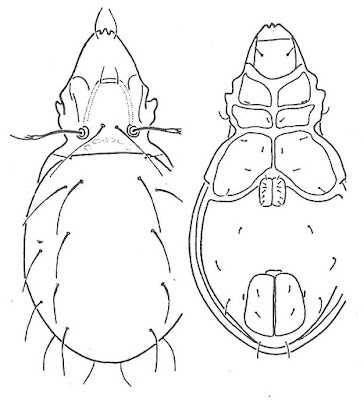 Dorsal (left) and ventral views of Arcoppia brachyramosa, from Balogh & Balogh (1992 vol. 2). 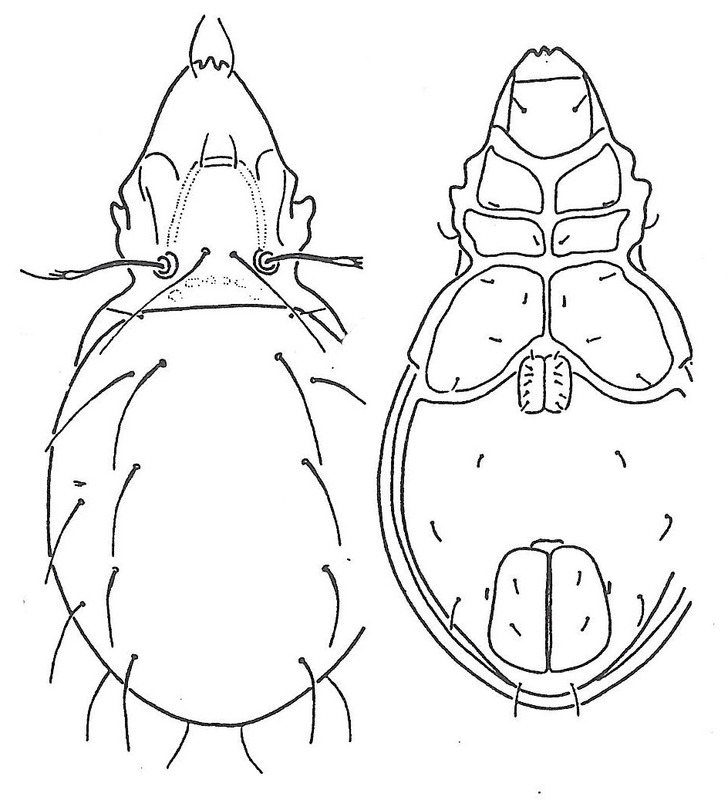 Arcoppia is a pantropical and subtropical genus of oppiid oribatid mites with a tridentate rostrum and usually radiate sensillus. The greater number of known species have been described from the Old World but Neotropical species include the Brazilian Arcoppia arcualis enghoffi and A. campinaranensis, the Mexican A. dechambrierorum and the northern Neotropical A. serrulata (Subías 2004). Characters (from Balogh & Balogh 1992): Rostrum tridentate; sensillus radiate (in extreme case with only one setiform or flagellate branch). Notogaster with crista absent; with nine pairs of setae; setae c2 absent. Genital plates with six pairs of setae.